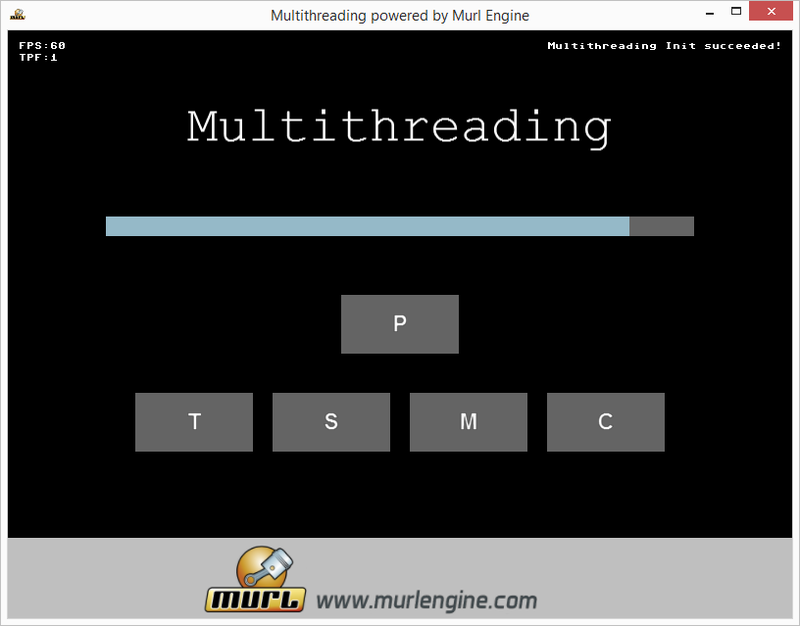 A new multithreading tutorial is available. You can find the Tutorial #15: Multithreading in chapter one of the tutorials section. Multithreading is known as concurrently executing multiple threads apparently at the same time. Usually it is not necessary to create your own threads. Anyway, if a time-consuming calculation needs to be done in the background, a separate thread can be spawned utilizing the System::Thread class. Additionally the Murl Engine provides the classes System::Semaphore, System::Mutex, System::Locker and System::AtomicSInt32 to synchronize threads.